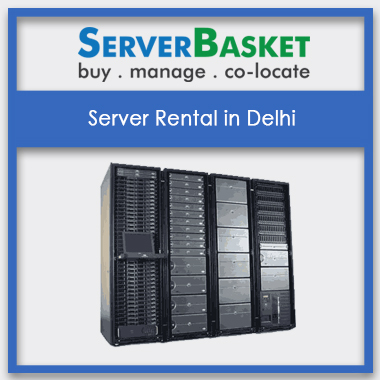 Best Deals on Server Rental in Delhi at Affordable Prices, Free & Fast Delivery to any Location in Delhi. Looking for a high-end server for a short-term project at Delhi? We would say renting a server at server basket would be the best cost-effective option for a short-term project. We are ready to offer you high end required server from your favorite brand with customized configurations at lowest rental prices in and around Delhi. Check out our collections available for server rental in Delhi. 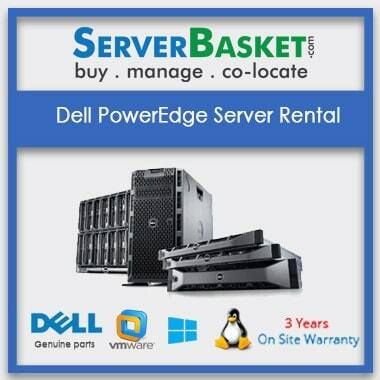 We promise to offer you lowest rental packages than any other rental provider in the server market. Even at lowest prices, we try hard to offer you best quality server rental in Delhi with no configuration problems. We offer Rack, Tower, Blade, dedicated and cloud server models for rental at budget-friendly packages. We help economy customers with our hourly and daily rental packages to serve their short-term project within limited budget. We also avail special discounts to SEZ companies and IT parks. We lend our servers to all business types and any sized organizations on affordable rental packages. We rent servers to small start-ups, SMEs, large corporate offices, MNCs, IT Parks and Banks in Delhi by signing a rental agreement with us based on rental duration. We handle your short-term purposes with hourly and weekly rental packages and even long-term projects with monthly and yearly packages. We can provide server rental service to anywhere within Delhi and even to the remotest area in Delhi. We provide all the leading brands like Dell, HP, Cisco, and IBM. Our server collection includes HP ProLiant series, Dell power edge series rack and tower servers, Cisco Rack servers, caching servers, dedicated servers and many more servers on rent. All the available servers on our website are properly tested and genuinely branded for optimal functionality and, maximize your business productivity with our server rental in Delhi. In case of any issues with Dell, HP, IBM rented servers, we are available 24/7 to resolve your issues instantly. Simply ping us on live chat box or give a call or just shot an email to us, our technical support team member will respond to you immediately and try to fix the issue without any downtime. In case of an emergency, our expert team will attend you at customer location anywhere at Delhi to sort out the issue. 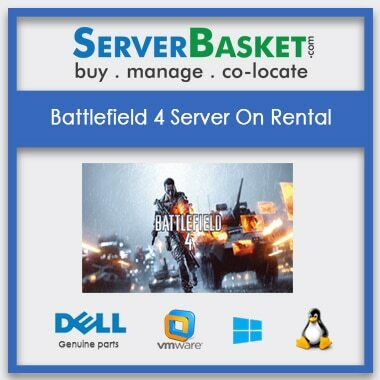 Rent our servers and experience the best customer support from server basket. As soon as you order, we complete your rental purchase process by offering instant delivery to any location in Delhi. We deliver in and around Delhi areas like Badarpur, Shakarpur, Pitampura, Jangpura, Khanpur, Karol Bagh, Chandni Chowk, Lajpat Nagar, and Dwarka etc. we deliver your server safely on time at your request location to home or office.